The number 1 hair curling product! BaByliss Curl Secret uses pioneering Auto Curl™ technology to effortlessly create beautiful, free-flowing curls with long-lasting effect. Revolutionary Auto Curl™ technology to effortlessly create beautiful, free-flowing curls with long-lasting effect. 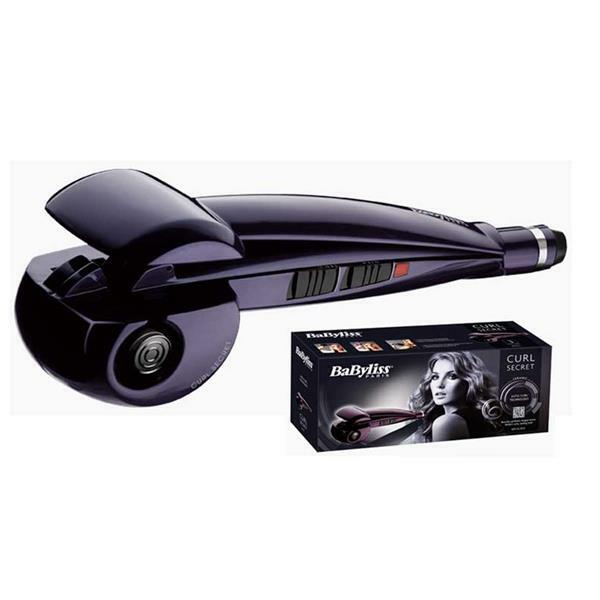 Professional heating system for fast curl formation - hair is automatically drawn in to the ceramic curl chamber where it is softly held and heated from all directions to form a curl. Automatic curl direction creates a natural finish in the hair by changing the direction of each curl as you style. 2 heat settings and 3 timer settings with audio bleep indicator for different curl effects. Programme the styler to create free-flowing, natural waves or defined curls. 2.5m swivel cord for control whilst styling. Heat protection mat to protect surfaces whilst styling. *Please note that no additional discount is available for this product as it's 10% is included in current price.